The statement made in the Supreme Court of India on the Kohinoor diamond is astonishing and is contrary both to history and law. Kohinoor was part of loot not “gift” and the very circumstances surrounding the Last Treaty of Lahore by which it is claimed that the diamond was ceded to the Queen of Victoria – the Last Treaty of Lahore was signed immediately after the Second Anglo-Sikh War and Duleep Singh who handed over the diamond was but a child – showed that the “gift” was anything but voluntary! And the law too permits the making and enforcing of the claim for return of Kohinoor to India. In Resolution 3187 of 1973 The General Assembly, deploring removal during colonial or foreign occupation of objects d art, declared that “the prompt restitution to a country of its objets d’art, monuments, pieces, manuscripts and documents […], is calculated to strengthen international co-operation inasmuch as it constitutes just reparation for damage done”. The Resolution recognises the customary rule of prohibition against the use of force recognised in several instruments of international law commencing from the Final Act of the Congress of Vienna of 1815 to the Hague Conventions, UN Charter and the UNESCO Convention of 1970 and subsequent developments. Opponents of the restoration of cultural artefacts rely on the fact that East India Company was a private corporation and India was not a colony of the British at the relevant time. They also rely on the principle of inter-temporal law according to which the issues should be assessed not on the basis of existing international rules but law in force at the relevant time. The site of the Parliament of UK has a section Parliament and Empire. It records that East India Company Loan Act and the East India Company Regulating Act made it possible for the government in Britain o extend a loan to the Company in exchange for recognition of the British state’s ultimate authority over the Indian territories.It leased to the Company continued political control of its Indian territory in exchange for a payment of £40,000 every two years. It also established the post of governor-general who, with a council of four members, was to have overall authority over the Company’s territories. More government control came with the India Act of 1784, under Prime Minister William Pitt. This created a committee of six government appointees, known as the Board of Control, who were to monitor and direct the Company’s policies. The government was also to have the final decision on the Company’s nominations for its officials in India. This and a further new law passed in 1786 greatly increased the authority of the governor-general over other Company officials. The ultimate control therefore lay with the government itself and liability cannot be disclaimed on the ground that East India Company, which in any event was established by Royal Charter, was merely a private company. The inter-temporal principle cannot apply to human rights obligations. Cultural artefacts are part of the nation’s heritage and constitute its identity and the right to this cultural patrimony both tangible and intangible is basic to human dignity and indispensable for social and cultural progress. The very moral dimension of it makes it a human right. The instruments dealing with this subject, therefore, could not be said to define the norm but merely declared what already existed as an autonomous and binding principle. It is sometimes also said that there can be competing claims by the Iranians or Afghans whose rulers held the diamond at different times. The diamond however came from the Kollur mine in Andhra Pradesh, India which was the only one to produce it at that time. As right to cultural artefacts is an imprescriptible human right and there is an obligation to return on all who may have acquired this physical cultural artefact by force the diamond has to eventually return to Indian territory no matter how many hands it may have passed through. Such artefacts are not considered private property and there is an obligation to preserve them within the territory to which they belong. Interestingly the statement reportedly made by in the Supreme Court was “If we claim our treasures like Kohinoor from other countries, every other nation will start claiming their items from us. There will be nothing left in our museums.” Ironically David Cameroon had used almost the same words when he came to India in 2010; he said,”If you say yes to one you suddenly find the British Museum would be empty. I am afraid to say, it is going to have to stay put”. It is not a question of which museum gets empty. Its the issue as to which museum is the right custodian of the artefact. And Kohinoor belongs to India. 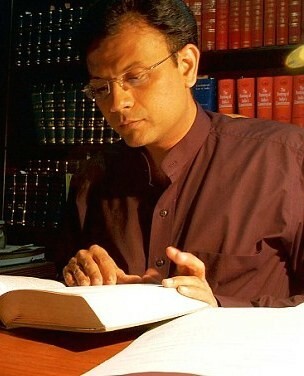 Solicitor General of India said in SC about Koh-i-Noor that it was neither forcefully nor stolen by Colonial Britain. But history knows that Sole purpose of Colonial Britain was exploitation for money by any means. There is many ways to capture anything, one is the most important which is “Undue Influence”. SC should ask to Solicitor if neither forcefully nor stolen then why and how Britishers ruled 200 years?